There are a lot of optical companies in Snowboarding but the majority started out in Southern California and focused on surfing before branching out to snowboarding and beyond. 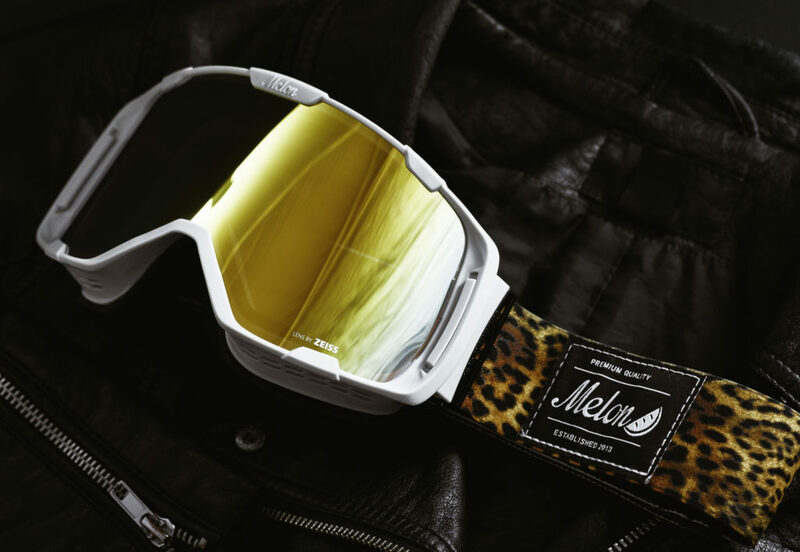 Melon Optics was founded in the UK by James Pointer with an initial focus on snowboarding. 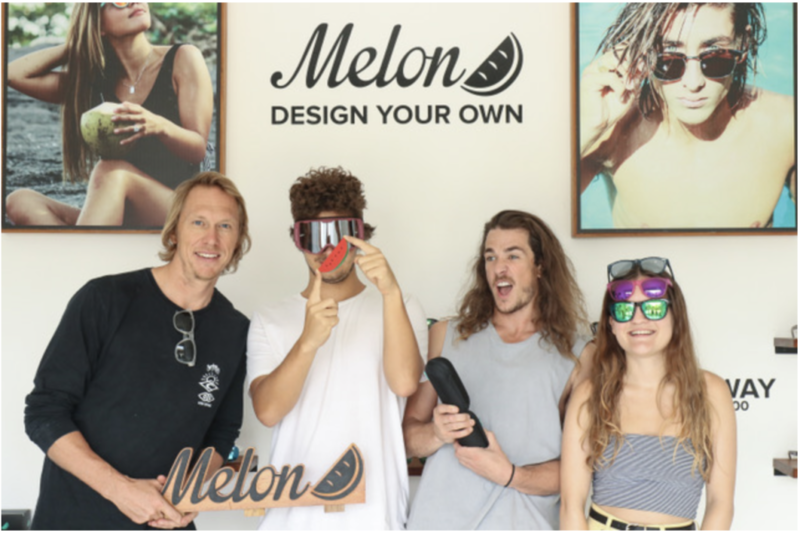 Melon has quickly grown and adapted it’s business model and uniquely their offices are now based in beautiful Bali, Indonesia with Neil Slinger, Anna Thomas and Ash Palmer completing the Melon hq workforce. 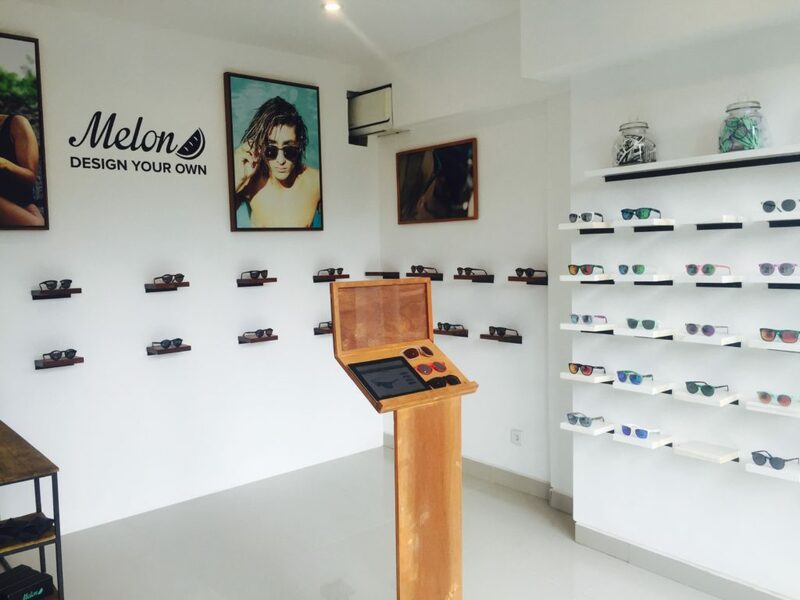 Melon offer a completely customisable sunglasses and goggles product range, have a talented and ever increasing pro team (over several action sports) and more recently opened up their 4th concept store in Bali. We wanted to know how the brand got started, their reason for their office relocation and their vision (excuse the pun) for the future. Being based in Bali isn’t the first choice for a lot of brands, what made you decide to move Melon out to Bali?JAMES: Indonesia has featured heavily in my life ever since I was eighteen – the idea for Melon was actually first conceived whilst I was on a surf trip in Java back in 2013. In 2015 I decided to make the move over to Bali for a few month trial and that was three years ago, so it’s safe to say something felt right. We still have roots in the Alps during the winter months and having a semi-remote way of working allows the whole team to immerse themselves in the lifestyle that Melon was created to promote. What are the advantages and disadvantages of this office location? JAMES: I think that basing our “HQ” out of Bali for around eight months of the year does a few things (beyond the lifestyle perks). Firstly the open office / store concept has opened up Melon to a lot more people visiting Bali from across the world that may not have discovered the brand otherwise. Additionally it’s been a great way to attract top talent to the team, which we may have not had if we had a more “traditional” single office location. Working out of Bali (whilst still selling to a primarily European market from UK based fulfilment) does of course come with the challenges of dealing with a globally dispersed team. Autonomy is encouraged internally and we work on a “results” based model rather than measuring “hours worked”. There’s definitely a learning curve and it takes a certain discipline for everyone to work and communicate effectively. However, the most important thing at the end of the day is that the work gets done and we continue to hit targets – so far it seems to be working! NEIL: There can be a feeling of distance especially in Winter, but we are confident in our team of agents in their markets and we still make sure we make time to be in Europe when the snow is falling. ASH: I’m lucky to get the best of both worlds spending the summer in Bali and the winter in Europe. Working as a team split across the planet can have its challenges but we’ve developed a way of working as a team that means we all know who’s accountable for what and we have regular communication so that we can stay on top of everything. Snow for the winter and sun for the summer, not sure i can find much wrong with that! You have quickly opened and expanded your own Melon stores in Bali, was that the plan from the start and will you open stores in other countries- Europe for example? NEIL: Well there was no plan! We didn’t even plan to have any stores here, initially it was just an office, but the space we rented allowed room for a store so we gave it a crack – 16 months later we have 4 stores down here! Expansion in Bali holds fewer barriers, and we will see many more stores coming. Europe on the other hand is a little more restrictive, financing being the biggest hurdle for small brand like ours – inner-city areas are pricing people out and this must change if the high street is to stay interesting. We are looking at pop-up concepts in interesting locations for sure. Are you the owners of the stores or are they operating on a franchise model? NEIL: Technically the stores are operated on a franchise owned by James and myself. However, given our central daily involvement in the main Melon Optics brand they feel very much like a natural extension of the main brand. They certainly function as a showcase of how a Melon franchise could work in other countries and we have interested parties looking into replicating what we have done elsewhere in the future – so lets see! I’ve heard people say that if you aren’t a part of the Luxottica group then you will struggle to make it as a sunglasses company, you guys seem to be the exception to that rule. 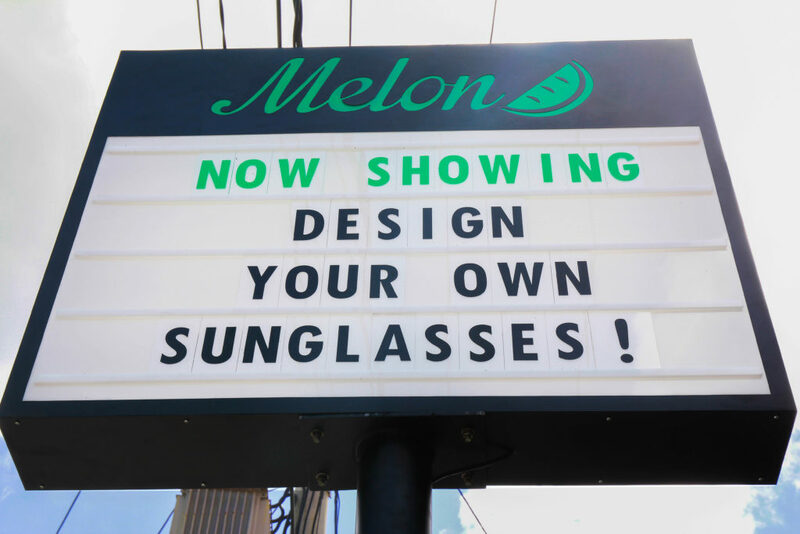 Are you hoping that Luxottica will eventually add melon to their portfolio? JAMES: Yep, Luxiottica controls roughly 80% of the sunglasses market (with Safilo, Marchon and Maui Jim taking a big chunk of the remaining brands). It’s crazy how many sunglasses / goggles brands (that I once thought were independent) are actually owned by these huge conglomerates. Of course there are obvious challenges such as manufacturing, pricing and bargaining power that the big guys bring to the table. However, the bigger you get the slower you are. 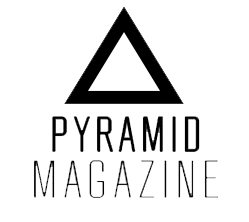 We are creating products and building a brand that we live day in day out – we are our own target market. Few if any of these big brands can say that about their team and therefore are always going to struggle to match the ability we have to really relate to our customers needs. That’s where our advantage lies. Would we ever sell out to Luxottica? Haha…Everyone has their price, so never say never. But, we’re building a brand with values that we live and breathe everyday. Our focus is to stay true to those values over building a brand for the sole purpose of selling it. Melon signage outside on of their 4 stores. 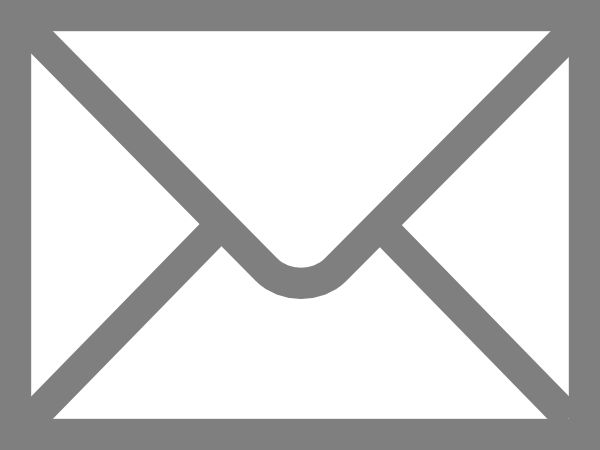 A lot of companies are quitting their agents and distributors and starting to sell increasingly online, is that a part of your plans? NEIL: No way. I have been in this biz for 16 years now, and I value people as the most important asset in a company and brand. Without these guys and girls on the road, at events, talking with shops and being the flesh of the brand you are nothing. Online is a major part of our business at Melon, it’s how we started but we need the support of agents, distributors, dealers and riders to keep things real and tangible too. We want to combine the two, so shops benefit from our online presence, and our online sales and performance benefit from having strong partners on the ground. 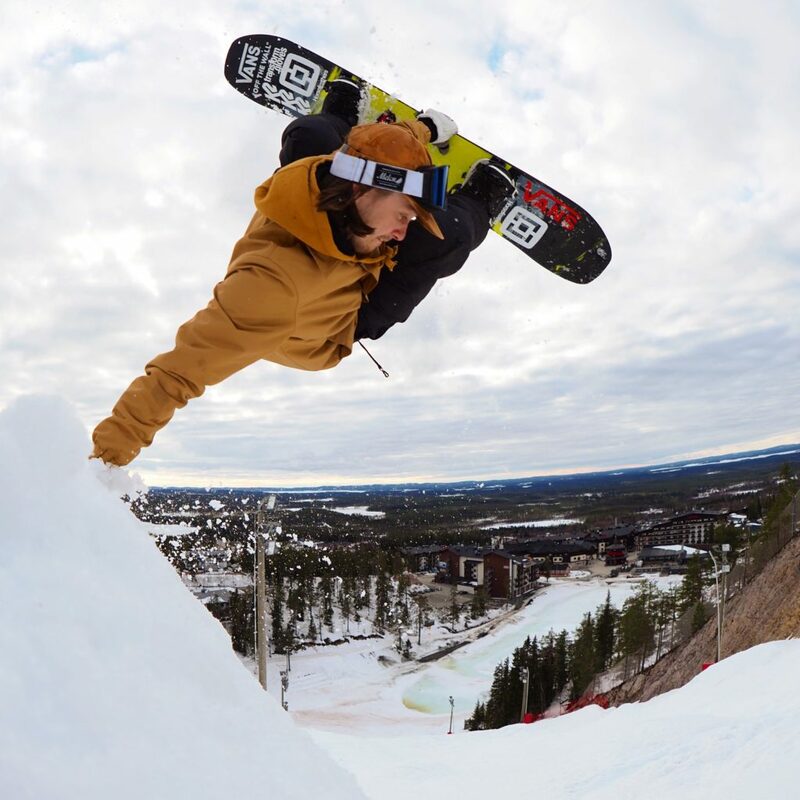 You recently added Eiki Helgason, Tyler Chorlton and Antti Jussila to the team, who will join an already solid team of MTB riders and Moto Cross riders. Will you be adding more team riders and if so what sports will you cover? ASH: Yeah we were stoked to expand our team to include these legends! We’ll certainly be looking to grow the team and work with more great people as the business evolves. That said we have a lean approach to everything we do so additions will only come to support new or evolving strategy with very specific goals in mind. Moto is one area we’ve only dipped our toes into so look for some talent added to the team in that area in the near future! What are the most important sports for Melon to focus on? ASH: Ski, Snowboard, MTB and Moto (MX) all have huge growth potential and we’ve really just only started in all of these. MTB has been a big hit for us and it gives us year round business across the globe, we find the MTB community to be seriously passionate about what they do and hugely engaged with the brands they love. Snow is where it all really started and we’re all snow addicts so winter goggles will always be at the heart of what we do. MX has huge potential, much like MTB we see this community as highly passionate and engaged and we can’t wait to get more involved with the scene. As we grow we’ll expand into other areas, James and Neil are both surf obsessed so it’s natural for us to step into this area more as we grow. Ash, coming from Monster Energy you must have had huge marketing budgets, how does it differ running marketing for a smaller brand like Melon? ASH: Ha ha! Yes let’s say the budgets from Monster to Melon are a little different, we always check the back of sofas before we leave anywhere in case there’s a few quid that we can add to the marketing budget! For me it’s been a massive learning experience and one that has forced me to look at the impact on sales and brand awareness that every penny spent has. It’s a good thing, we don’t waste money and we value every partnership we have and every free pair of sunnies we give out. In this day and age marketers of growing businesses have a plethora of tools available that can help them maximise strategy even for really small budgets. It’s a mixture of being a strategic as possible, offering great product, and working with great people that allow us to keep pushing forward with limited budget. You were one of first brands that we saw offering a completely customisable product offering, how were you able to achieve this and do you think that has been one of the main strengths of the company? JAMES: 100% it has been one of the main strengths of the brand. I’m not sure if we’d exist without it…From the day one our focus has been on user experience, so having a customiser for all of products on our website (and in shops) that works well was paramount to making the whole thing work. As we grow, more and more time is being spent working on user experience improvements and we have some cool things coming in the pipeline over the next year. And you have brought this customisable concept into stores too right? NEIL: Yes exactly. From day one of joining Melon my plan of action was to reinforce the custom product but in stores around Europe. 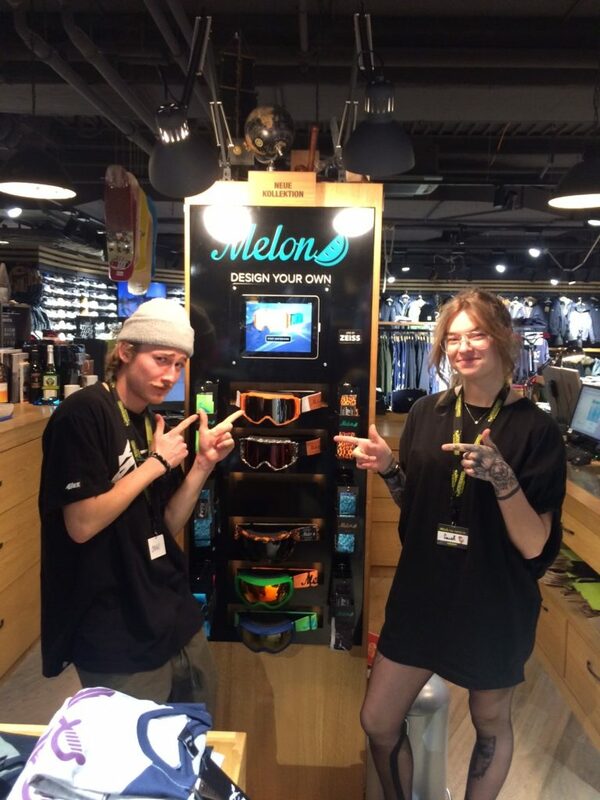 We have achieved this with the snow goggles where store partners carry the full stock of components and the customer can design their own model there and then in store with the use of a unique iPad display. Stores are loving the unique concept and customers are actively looking for products they can be part of designing. What do you think of the current state of the industry? NEIL: Long gone are the glory days where you could slap a logo on something and pump it out to the excited masses. In a way a good thing, as your product has to be on point, your marketing unique and exciting and your customer service on the verge of perfection. The internet has also changed the marketplace massively, big players are dominating not just with their huge selection and discounting games, but their marketing budgets are so huge online that they dominate the customers inbox and Facebook/Insta feeds. Retail is tougher than ever but for me this is not all doom and gloom, shops which seek change and try to be on the pulse and intrigue the customer will always survive, and these are the kind of stores we want to work closely with to offer a unique product selection. We are stoked for example to soon be starting a year round Melon Custom concept in the legendary Innsbruck store X-Double so they will offer the full Melon custom range of products! You guys hire sales reps in some of Europe’s key resorts, how has that developed over time and will you increase this? ASH: We built this off the back of our friend Luke doing a sales role for us in Morzine for the past few years. 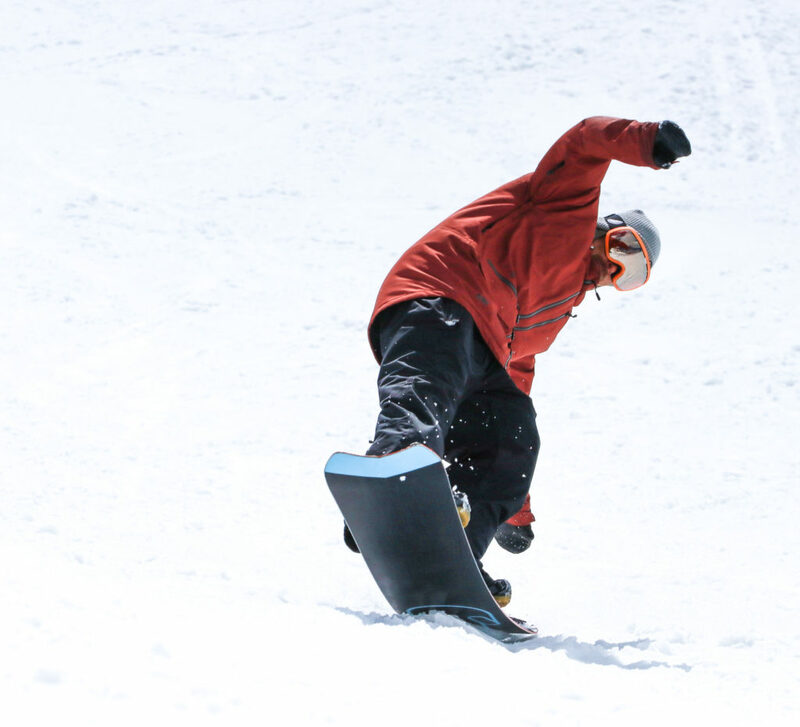 We now work with amazing reps in Meribel, VT and Tignes. These guys have been in the resorts for years and are well placed to help us spread the Melon word as well as earn themselves some pocket money from selling product. We’re always looking for more of the right people to do this for us in other resorts so if you’re interested get in touch! Neil was head buyer for Blue Tomato before working as head of sales for Colour Wear, Ash had a long held position with marketing for Monster Energy- James you are the founder of Melon, what is your experience and history and what other staff will you add to melon? JAMES: My professional history is definitely a lot more modest than either Ash or Neil. They have both brought a wealth of experience and connections from the industry to the Melon team that can only be achieved through a lot of time and dedication over the years. Prior to Melon I was involved in a couple of other projects in unrelated industries, but my experience really lies in five years of building Melon from the ground up. There’s few roles that I haven’t had to get stuck into during that time and my role within the company continues to evolve as we grow and add more great people to the team. The main team now consists of seven full time employees (excluding fulfilment and external agents) with Melon Indonesia employing an additional six local staff. It’s a long way from our team of two just two and a half years ago but we know that our future success relies on having the right people behind the cause and right now we have a killer team. We don’t add new people to the team for the sake of it and have a focus on staying lean. For now there’s no immediate plans to add any new staff roles. Any advice you would give to young brands starting up or people thinking of starting their own concept? NEIL: For me it’s all about the mix. You need something unique, you need to shout about it really well, and you need contacts to help you get where you want to be. If one of those are missing it may work out but it could take a long time. JAMES: If you’re set on starting your own thing and have the resources available, just start! You will learn more in 6 months of throwing yourself in at the deep end than you will from three years of any university course – it will cost a lot less too. If you don’t have the resources available, look to intern for a business that’s small, forward thinking in their approach and growing fast. We’re living in a time where there’s so much free, current and amazing information through podcasts and online that with the enough determination you can teach yourself anything. ASH: Sort your product first – like Neil says it’s got to be unique in some way, know your market inside out, build an authentic brand that you believe in, then use all the amazing digital tools at everyones disposal to reach your market. Also reach out to those who have experience, you’ll find some amazing advice out there! 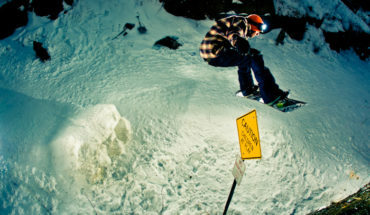 Industry Heavyweights: Ryan McDermott, Professional Board Technician. 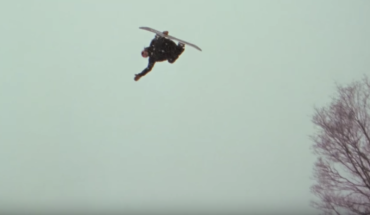 Absinthe Films announces new movie “Stay Tuned” with European Tour Dates.